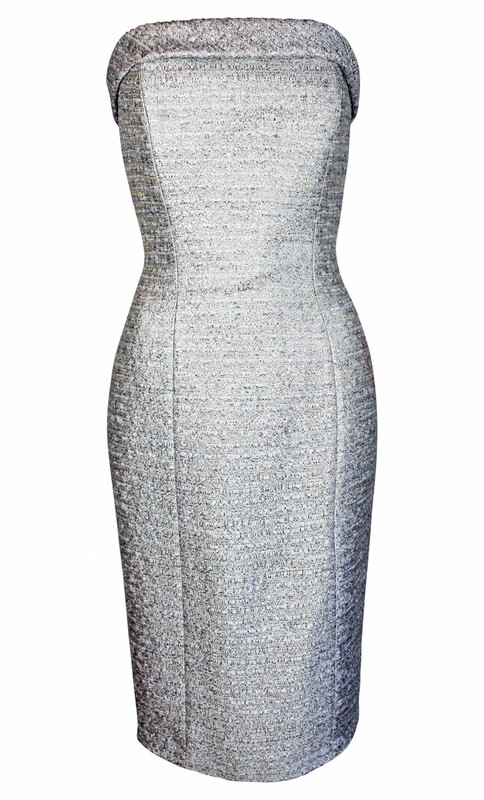 The silver metallic weave strapless dress is crafted from a weave like silver metallic fabric. The figure flattering bustier bodice is internally boned to provide sufficient support. Strapless and fitted silhouette, concealed zipper along the back, internal and boned bodice, back vent, ully lined.